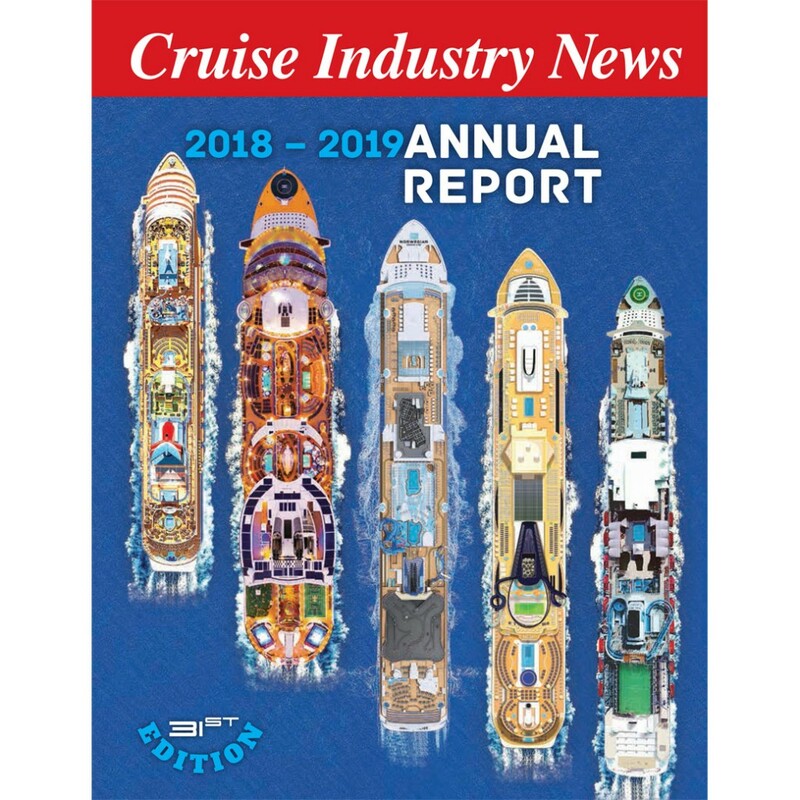 The Cruise Industry News Annual Report 2018 is the only information resource of its kind -- presenting the entire worldwide cruise industry in 400 pages. This resource book is like no other. 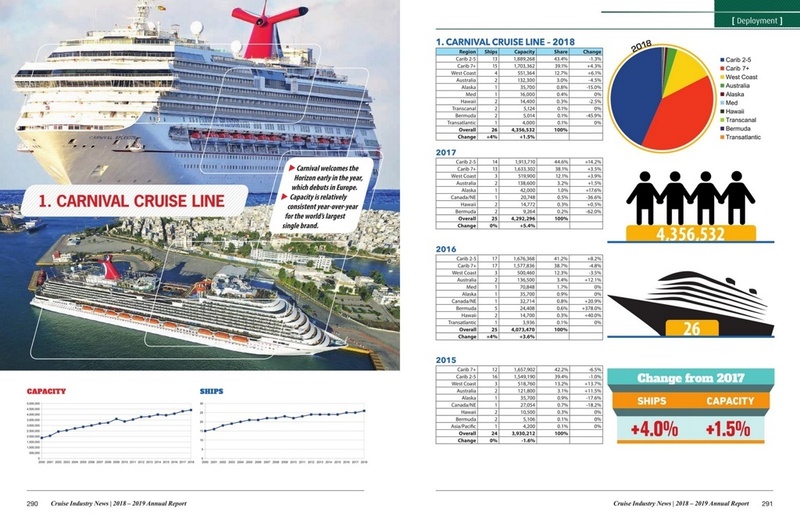 The Cruise Industry News Annual Report 2018 is the only information resource of its kind -- presenting the entire worldwide cruise industry in a 400-page report, from new ships on order to supply-and-demand scenarios from 1987 through 2027, including a future outlook including 2027+ growth projections for each cruise line, and detailed ship deployment by region and market of all the cruise lines. 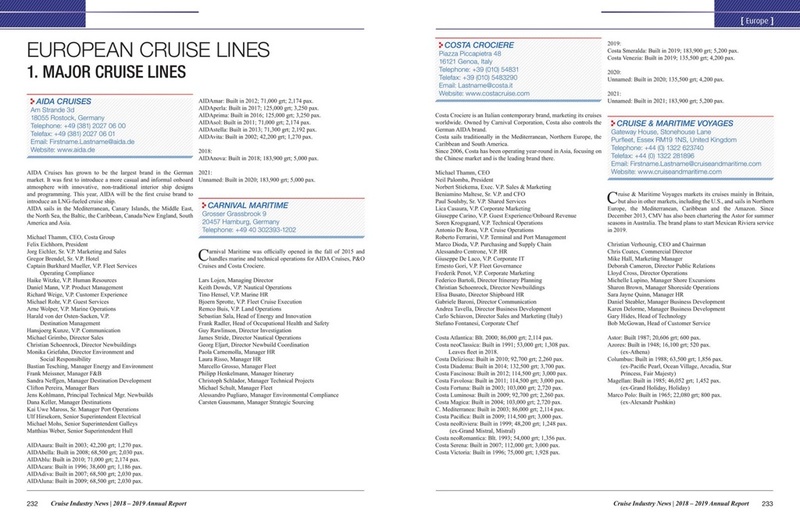 There is also a comprehensive directory of cruise lines, as well as detailed information on port traffic and more. 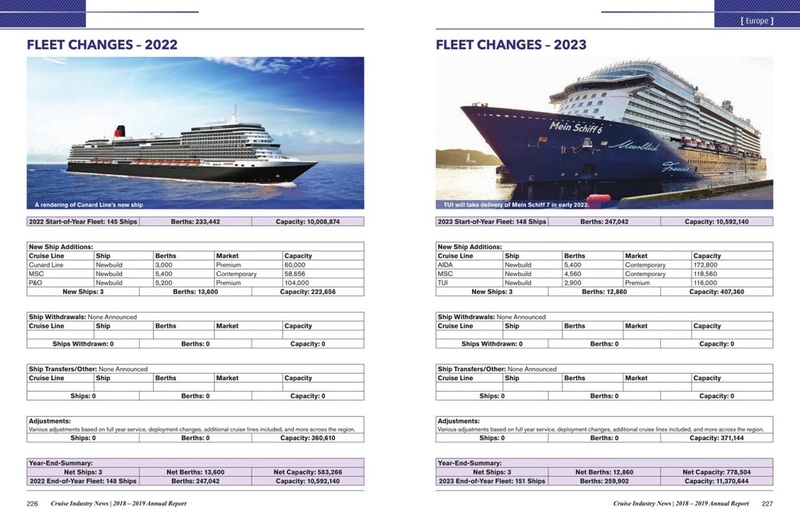 • If you are a cruise line executive: CINA 2018 gives you a total and objective overview of the industry, including profiles and growth forecasts for all the cruise lines through at least 2027. 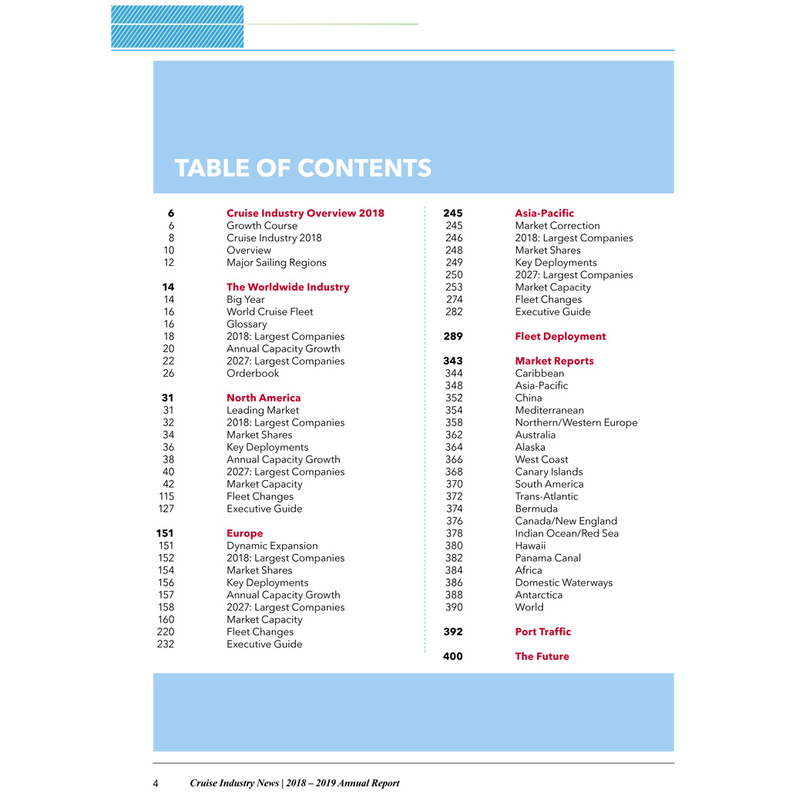 • If you are a financial analyst: CINA 2018 gives you independent company and market growth forecasts, including supply/demand scenarios through 2027. 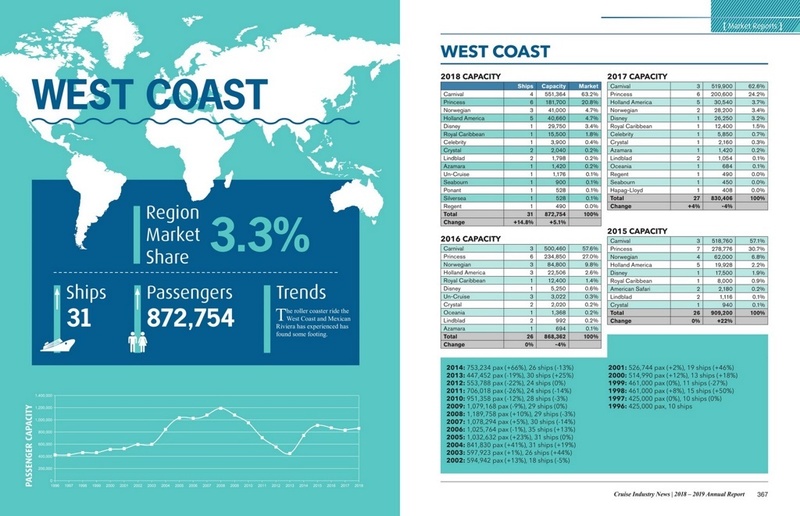 • If you are a port executive: CINA 2018 tells you about each line's ship deployments in your region, and tracks the growth of each port and each sailing region. 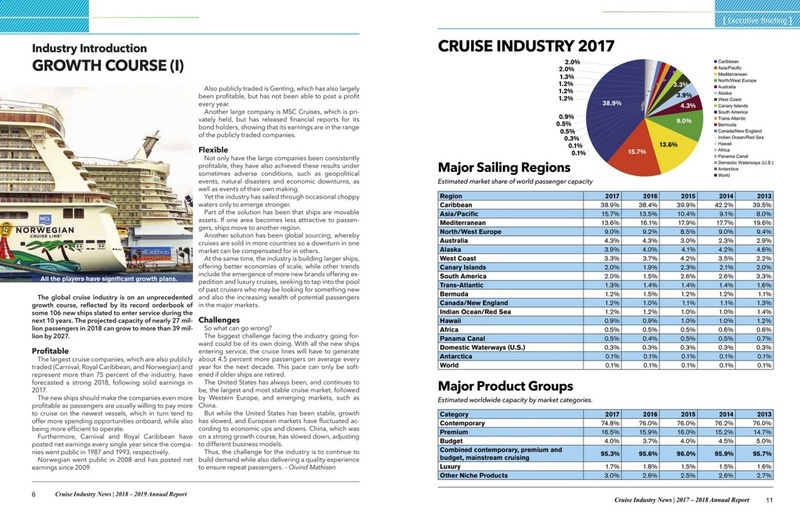 • If you are a supplier: CINA 2018 gives you the information you need to make informed decisions about your involvement in the cruise industry. • If you are a new supplier: CINA 2018 gives you the market intelligence and sales leads you need to target the industry. Who buys this report? Cruise lines, ports, suppliers, accounting firms, consulting companies, investment banks, think-tanks, universities and many more! Macro Level: Big picture data for the major and minor players, showing their footprints in 2018 and projected out through 2027. Micro Level: Additional data includes just about everything pertaining to deployment, berth breakdown, capacity projections, historical trends and much more. 400 pages of detailed information at your fingertips. 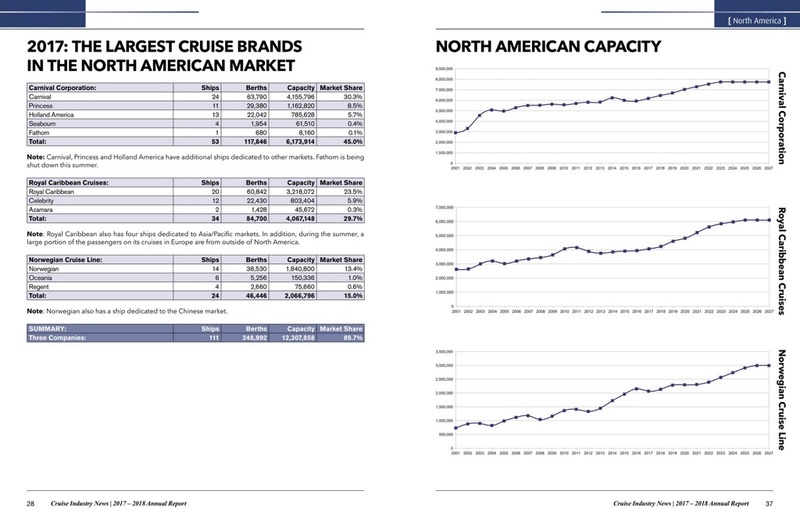 Brand Level Data: CINA goes ship by ship, brand by brand, with data reflecting market capacity, berths, market share and more. 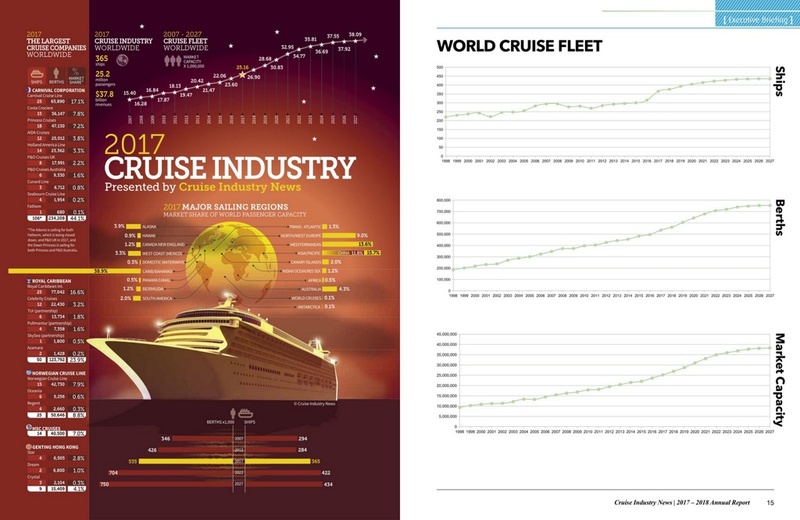 Ship by Ship: Every ship in the global cruise fleet is accounted for in our research, from the latest mega ships to niche expedition vessels. 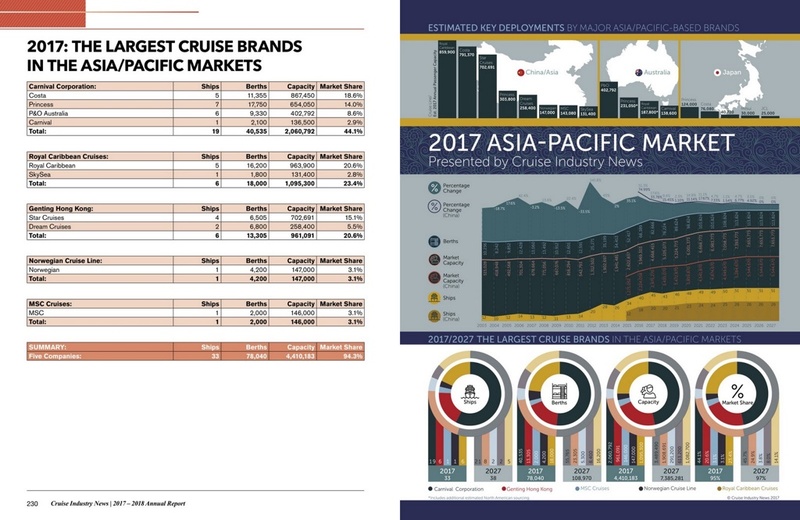 Region Analysis: Each major cruise region is broken down by brand, with number of ships, projected market capacity and market shares, with past data showing trends. Shipping: The Annual Report ships via FedEx globaly, ensuring a timely delivery.